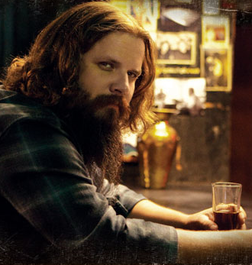 No current performer has straddled the music Row and Americana divide as deftly as Jamey Johnson. Johnson is an unapologetic neo-traditional disciple of country music’s greats. He’s opened for Willie and done George Jones songs in the presence of the man himself. His next effort is to a man that influnced those giants. Cochran, who died at age 74 in 2010, is considered one of the greatest songwriters in the history of country music. He helped evolve the perfect country template established by Hank Williams a generation earlier. Cochran’s songs transcended the country genre to become American standards (a practice closely studied by Willie) his catalog includes “I Fall to Pieces,” “She’s Got You,” “Make the World Go Away,” “The Chair,’ “Set ‘Em Up Joe” which Johnson covered on 1010’s The Guitar Song. His songs have been recorded by artists including Eddy Arnold, Patsy Cline, George Jones, George Strait, Elvis Presley, Elvis Costello, Ray Price, Ronnie Milsap, Jim Reeves and many others. Recording a collection of Hank Cochran tunes in a pop-country saturated industry takes guts, and truly reflects the original Outlaw spirit the hat acts on the radio brag having. When it came time to take the next step in his recording career, he listened to his heart and decided to embark on a labor of love. In a daring career move that is consistent with Johnson’s penchant for bucking conventional industry wisdom to create a unique path, he decided to devote his time and creative efforts to honoring his late friend and celebrate traditional country music. Besides having a professional affinity to Cochran he also has a personal one. “Shortly after he first met Jamey, Hank was diagnosed with pancreatic cancer,” says his widow, Suzi Cochran. “So for the two years he lived after that, Jamey would get off the road and pull his bus right up to the hospital, run up and see Hank and raise Hank’s spirits. The last time Jamey saw Hank was the night before Hank died.” Johnson joined Buddy Cannon and Billy Ray Cyrus at Cochran’s bedside as they handed the guitar back and forth while singing Cochran’s songs. Cochran died about six hours later. “Hank adored Jamey,” Suzi Cochran says. “Hank loved Jamey. Jamey was a constant in the last chapter of Hank’s life. I am really looking forward to hearing this release and look forward to hearing classic from it live when Johnson joins Willie Nelson and The Band of Horses on the Railroad Revival Tour 2012.